Scottish Left Nationalists’ Plans in Ruins as SNP Plans Massive Cuts. Book that’s Spawned a Thousand Imaginary Communities. Left nationalist supporters of Scottish independence argue that the “breakup of Britain” will be a major step forward for the left and the labour movement. The Scottish Socialist Party is built on social solidarity and the spirit of resistance to oppression, injustice and nasty con tricks that strangle communities and people’s lives. Life can be better than this. We have the resources, the know-how, we could be building a world based on people, not profit. We can, and should, be expanding the public sector, because more and more of us need it, and it creates jobs and training, it holds communities together and it supports families. We should be raising the minimum wage, because we can afford to do this, through cutbacks in the defence budget and the raising of taxes on the rich, and because it helps to build strong, local economies. The single biggest obstacle to the Scottish people building a better society is the British State, the Westminster regime, the Crown Powers. Genuine independence for Scotland can only come from a break up of the British State but until we get to that point the Scottish Socialist Party campaigns for a programme that can be achieved if our society is run for people, not profit. Steve Freeman. Republican Communist Network. The ideas of the SSP and the RCN suffered a hammer blow when this was revealed (last year) from which they have yet to recover. The SNP government is privately preparing for the prospect of cuts to jobs, welfare benefits and pensions after independence, amid growing concerns that Scotland faces a bleak economic future, a leaked document has shown. Ministers in Edinburgh have also accepted the Bank of England in London would still have a controlling veto over public spending after independence under the SNP’s plans to keep the pound. The emergence of the report, which was presented to the ScottishCabinet by finance secretary John Swinney, comes as a former economic adviser to First Minister Alex Salmond warns in today’s Scotsman that such an arrangement would be little different to the existing “block grant” Scotland gets from Westminster. The Cabinet paper reveals the Scottish Government anticipates that in four years Scotland will have a “marginally larger net deficit than the UK”. This means a bigger gap between public spending and the taxes raised to fund them. Expected North Sea revenues are set to fall in light of recently revised estimates, the report says, and this will hit the nation’s prospects after independence. “Given the relative importance of North Sea revenues to Scotland’s public finances, these downwards revisions have resulted in a deterioration in the outlook for Scotland’s public finances,” it states. The country’s expected net deficit has more than doubled from £12 billion to £28bn as a result of these revisions, the paper indicates. This is likely to hit services in Scotland, with a warning that “these pressures could reduce the resources available to provide additional public services”. The paper says Scotland’s armed forces would have a “much lower budget” than its population share and the SNP has said this would not be any more than £2.5bn. The report accepts that Scotland’s budget after independence would be subject to conditions and any government at Holyrood would “have to ensure that it remained in line with any agreement on monetary union”. that the paper has been “overtaken by events” with oil revenues having surged on the global market to $115 a barrel. Initial estimates from the Office for Budget Responsibility put oil prices at less than $100 in the years ahead, but other forecasters have put it at $130. They have continued to repeat this message. In public the SNP tell us that an independent Scotland could have not one but two oil funds without the need for tax rises, spending cuts or extra borrowing to fund this. Yet a confidential Scottish Government paper, which we are publishing today, makes clear that in private SNP Ministers are being advised by their own impartial civil servants that our taxes WOULD have to go up, public spending WOULD have to be cut or borrowing WOULD have to rise to pay for an oil fund. In fact, it could mean a combination of all three. SNP Ministers aren’t just ignoring this impartial advice – they are doing exactly what this advice warns against. Read the Scottish Government’s paper, revealed under FOI law, here. If the SNP are being told this in private why can’t they just be honest with the Scottish people? “This is the third time in a year that the SNP have been caught out saying one thing in public while knowing the opposite was true in private. The SNP have quite deliberately set out to deceive the Scottish public. By pooling and sharing our resources across the whole of the UK we are best placed to get the benefit from the North Sea. The basic contours of these problems have not changed since. We hope that the left nationalists will not descend into arguing over the ownership of “their” nation’s oil as a way out of their problems – to avoid addressing the right-wing pro-market nature of any feasible ‘independent’ Scotland. . But once you’ve gone down the nationalist road it’s hard to know exactly where you will end up. 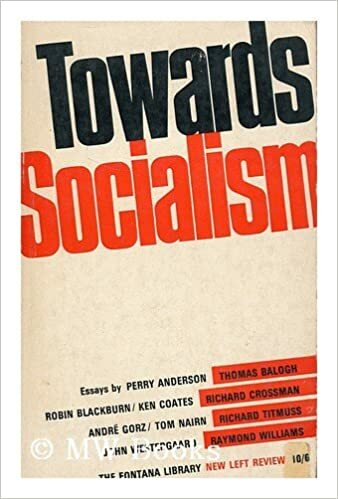 For a detailed critique of how Scottish left nationalism is far from left politics and far from any form of critical left approach to capitalism and globalisation, See: The Break-Up of Tom Nairn? Tom Nairn, Pariah: Misfortunes of the British Kingdom, Verso, 2002. Hardback, 300pp, £15.99. Reviewed by Andrew Coates. What Next? Also see: Paul Tesdale. Yes Means Power to Capital. Chartist May/June 2014. Europe is in the throes of a major economic and political crisis. The later, overused, word barely covers the depths of despair felt by those facing mass unemployment, wage cuts and the devastation and privatisation of public services. Protests against austerity have united radical lefts, trade unions and the peoples. They have yet to succeed. In the absence of any substantial – ‘actually existing’ – alternative to the austerity consensus of Christian and Social Democracy, reactionary currents have gained ground. Nationalists, such as the UK Independence Party, UKIP, the weevils of British politics, have had a strong echo, encouraging popular anger against the European Union. Overtly xenophobic parties, the Front National in France (17,9% in the first round the 2012 French presidential elections) and a host of others in Western and Eastern Europe, have gained ground. The Greek Golden Dawn has gone backwards so far that it has revived the far right’s tradition of bullying private militias. But it is another reaction that has caught attention today. 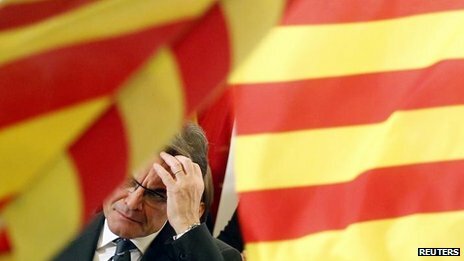 The victory of the right-of- centre party of Artur Mas, Convergència i Unió (CiU) in the Catalonian regional elections opens the way to a referendum on national independence. In Belgium the New Flemish Alliance (Nieuw-Vlaamse Alliantie, N-VA) of Bart Wever appears on the way to complete Flemish autonomy, if not the dissolution of the kingdom. The Scottish Parliament has decided to hold a popular vote about the country’s future that could lead to the ‘break up of Britain’. In Italy the Lega Nord, Northern League, stands for the rights of North Italy’s ‘Padania’ against the South. It has lost momentum in recent years following its collaboration with Berlusconi, but may well revive. Are these different populist protests against Europe’s oligarchs? That is, part of broader demands for “localism”. Tory Ferdinand Mount is a critic of “centralisation and top-down control” He calls for, “giving power back to the people” on the “human scale”(The New Few 2012). Are these movements in any way aimed at the “distribution of power to the many, the taming of the oligarchs, and the opening of opportunities to the worst off.”? (Page 219) It can be quickly seen, that some on the left, notably the Catalan left, Esquerra Republicana which looks set to work with the victorious CiU, and the warring factions of Scottish socialism, do indeed consider the push for independence in their lands as opportunities for such moves.